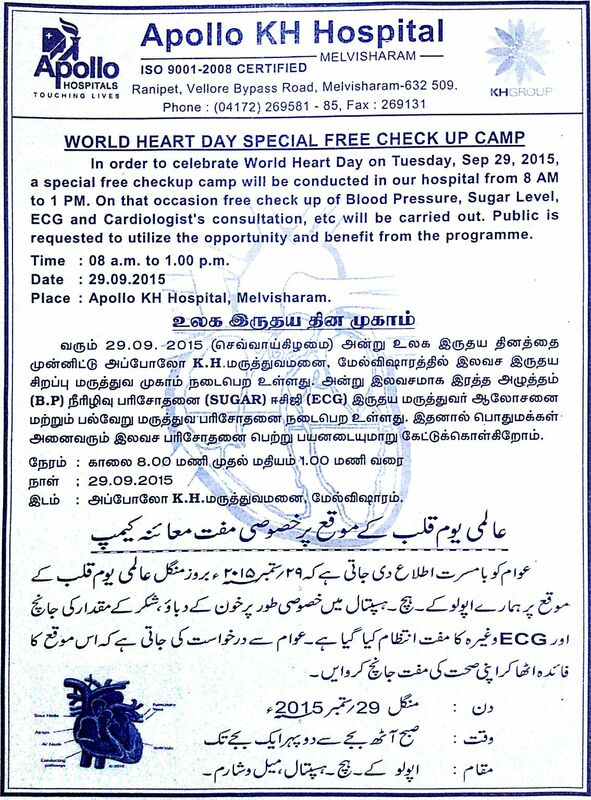 Apollo KH Hospital is conducting a free medical check-up in its campus at Melvisharam to celebrate World Heart Day on Tuesday, Sep 29, 2015. This free medical check-up will be conducted from 8 AM to 1 PM in its campus. 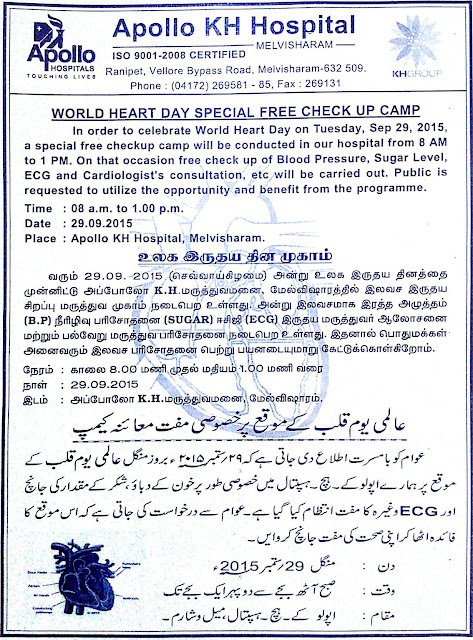 Blood Pressure, Sugar Level, ECG and Cardiologist's consultation, etc will be carried out free of cost. General public are requested to utilize the opportunity and benefit from the programme. Time : 08 a.m. to 1.00 p.m.
Place : Apollo KH Hospital, Melvisharam. Ranipet-Vellore Bypass Road, Meivisharam - 632 509.